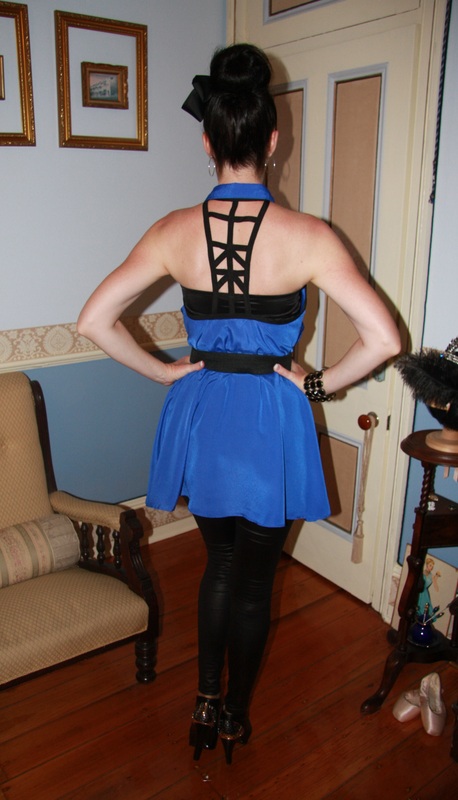 Outfit: Royal blue long line sleeveless top with black trim, featuring black lattice back detail, worn with black leggings. Shoes: Black leather bootees with silver heel detail. Hair: Worn in a high ballerina bun with a black grosgrain bow. Accessories: Large sterling silver hoop earrings, black bracelet. The director cut this very attractively!